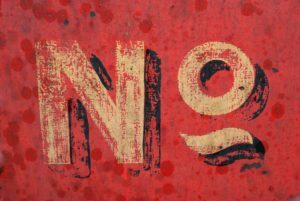 One of my first posts on this blog was about saying no . 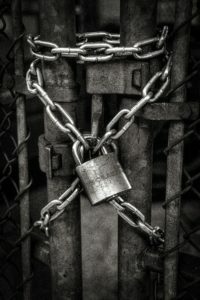 As I learned emotional intelligence and began applying it to my life, I started to understand how imprisoned I’d been by my inability to say no. In the interests of full disclosure, let me tell you that saying no in the context of long-term relationships in which I’ve never said it before has resulted in unforeseen heartache and grief. I rejoice in reclaiming my power and authenticity, but some of my nearest and dearest are not celebrating my growth and healing, and connections I thought were unbreakable have, in fact, broken. These days, I immediately exit any relationship in which my no is consistently ignored. At this point in my life I’m not interested in connection, intimate, workplace or social, in which no is not an acceptable answer. In my experience, people who refuse to accept the answer no fall into two camps. The first camp is the controllers. Their goal is power. They view anyone with the ability to say no as an insult and a threat, and immediately react in the form of intimidation, emotional meltdowns, rage, manipulation and constant pressure to change the no to a yes. The second camp is those who can’t say no themselves and are infuriated by those who can. Their goal is to undermine the power of others so they can feel better about their own disempowered state. They’ve stored up years of resentment around all the times they said yes when they wanted to say no, resentment which they vomit up at once if someone says no to them. They throw around words like “duty,” “responsibility,” “loyalty” and “obligation.” No is a personal rejection, an abandonment and a cruel betrayal. They frequently have all kinds of expectations of others. They use the weapon of shame. These camps can and do overlap, but there’s no mistaking the resistance to no. I confess that it still stuns me that long-term primary relationships have fallen down and died right in front of me because I said no. I’ve even checked out my perception, disbelieving my own experience and the words I was hearing. So far, I am still unforgiven, because I stood by my no. I ask myself if it’s possible I’ve never said no in the context of these relationships before. It seems unlikely. Perhaps I’ve just never said it about anything that mattered to the other party? I resolved to mindfully practice saying no, and also to observe carefully the effects of such a response. I immediately discovered that the effects of saying no on me included panic attacks, anxiety, PTSD and extreme stress. All my life interactions with others has consisted of “reading” them in order to please. Any question they might ask was answered in whatever way I thought they most wanted to hear. Effectively, every question was a test. If I passed the test, my reward was knowing I had pleased and was temporarily safe and tolerated. If I failed, which usually meant I had forgotten myself and answered honestly, the consequence was displeasure, abuse, guilt and shame and/or (worst of all) some kind of a scene. Learning to say yes or no based on my own desires meant finding and reclaiming myself, my needs, my authenticity and my power, and trying to ignore what I knew others wanted from me. Saying yes or no became a test of my own courage and honesty, as well as a test of faith and trust in those close to me. I could hear no from them. Could they hear it from me? This has been some of the hardest work I’ve ever done. I’ve been reading an important book: The Gift of Fear by Gavin de Becker. Every woman in the world would benefit from reading this lifesaving and validating book. Here, too, is a discussion of the universally important red flag of refusing to accept no. We are shaped by our culture, and in this culture women are taught to be cooperative and accommodating. Men are taught to be persistent. These behaviors are deeply embedded and reinforced in our media, entertainment and arts. Women are not taught to say a simple, assertive, direct no and stick to it. We weaken our no with explanation, justification, mistrust of our own instincts and the desire to not make a scene, be unkind or hurt or embarrass anyone. The instant a woman allows her no to be negotiated, she has handed her power over and sent a clear message that she’s prepared to be a victim. Strangers, family members, friends and colleagues who decline to hear no are either seeking control or refusing to give it up. Sadly, the willingness to say no will not protect us. We may still be murdered, raped and otherwise abused, but the ability to recognize a danger signal like not accepting no for an answer is an important survival skill that can help us avoid violence before the worst happens. Ultimately, no is about boundaries. No matter how cherished a relationship may be, it’s not healthy if we’re not free to honestly say yes or no. Those who consistently violate our boundaries or punish us for having them in the first place are those who have benefitted the most from us having none in the past. I value my power to say yes or no far more than any object, possession, sum of money or relationship. The complete sentences of yes or no allow me to maintain my integrity and authenticity, support appropriate boundaries and contribute everything I am. Saying no. My daily crime. 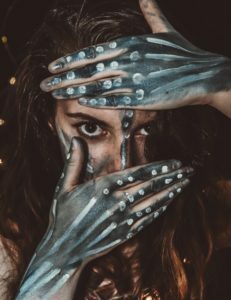 This entry was posted in Communication and tagged anxiety, authenticity, connection, control, emotional intelligence, expectations, needs, power, relationship, saying no on April 4, 2019 by Jenny Rose.